April 2015 seems a long way away – but I’m sure it will soon be with us. But I’m relieved to have booked all the exhibits we need by October (barring disasters of any kind, of course). I think it’s going to be another strong show. What will we have on offer? And having made a lot of enquiries to book these layouts, I’m hopeful that I might be able get 2 or 3 layouts unavailable in 2015 to come in 2016. Now that does seem a long way ahead…. UPDATE – WINCO added to traders. 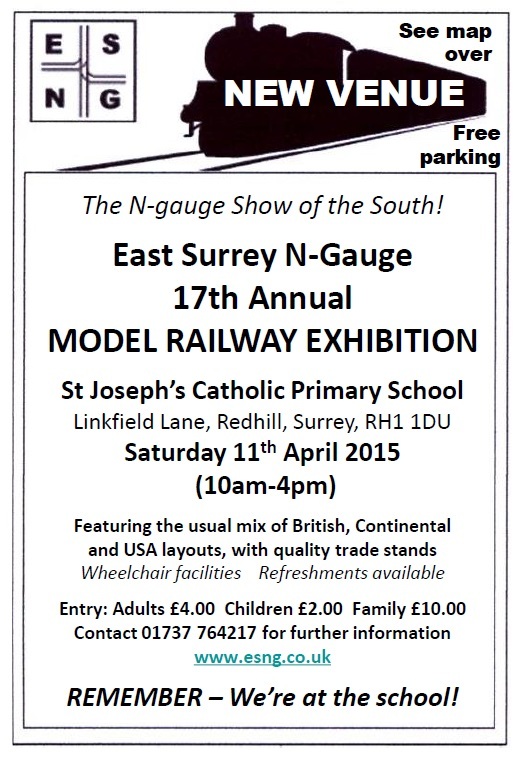 They will be bringing along a range of European ‘n’ gauge to capture your hard earned cash. This entry was posted in ESNG, ESNG meetings and tagged ESNG, ESNG Meetings, exhibition, N gauge. Bookmark the permalink.